Social Security Cards – Why do you need one? As a citizen of the United States of America, whether you are a permanent resident or a temporary working student you should have a Social Security Card. The Social Security card has a distinctive nine-digit number, it is issued by the government of the United States of America. Social Security cards are issued to all citizens of the United States, whether you are a permanent resident or a temporary working student, as long as you are an eligible United States resident. As soon as you have your Social Security card, you can use it for the rest of your life. And when the time comes when you have to retire, the government of the United States will use it to determine the number of years you have worked and your lifetime earnings, moreover, if you are a person with a disability you can receive a Social Security disability income. 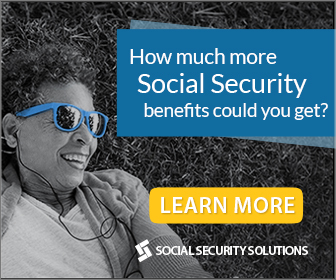 Your Social Security card is an important asset of you for the United States government to determine your eligibility and calculate your benefit payments. Hired for a New Job. Employers will ask for your Social Security card, for the accounting department of your company to report your income to the Internal State Revenue, your Social Security wages to the Social Security Administration and for the state income tax reporting. Opening an Account to a Financial Institution. The government has required banks to obtain each of their customers their Social Security Card, to check their credit, to report your tax-deductible mortgage and to manage your account. Federal Loan. When you are applying for a federal loan, the government will ensure that you are eligible citizen or you have an eligible visitor statuses. They have to ensure also that you do not have any other federal loans you are liable. For Public Assistance. The Social Security card is important since the federal or state government agencies use this to identify you and to ensure that the benefits you are about to claim are entitled to you. Medicare, Driver’s license, and Passport. The federal law requires you to provide your Social Security number during applications, if you do not have one, expect some delays during the processing of your application. Tax Return. The government has to check your income report and the income your employer and bank have given to you. Noncitizens are not required to have a Social Security Card.